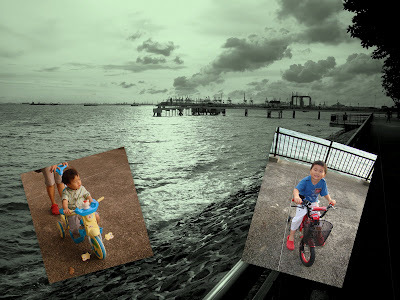 Here are some photos that we took which I edited using Google Picasa. The kids having fun cycling and playing with lanterns. Hi, I’m Audrey. I found you through the blog carnival. Wow I love the photos. I’m such an ocean person. I’ve always lived on the west coast and never tire of seeing the ocean. I love Labrador park. But its been a really long time since I last visited the place….